My Gun Pro.com - What's New? In this close-up, hands-on video, Bob takes you through the process of disassembling the fixed floorplate 1911 magazine. To watch full-screen size, double-click on the video image. To return to the page, press the Esc key. 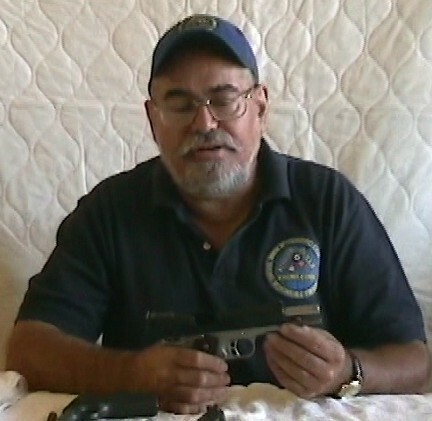 My Gun Pro Videos is proud to announce "1911 Field Strip"
Bob takes you through the technique for field stripping a standard 1911, a full length guide rod system, and reverse plug system. This convenient length video demonstrates close up, hands-on techniques, and answers many questions about this procedure. Click the button below to order today!